A few days ago my boyfriend, Kevin Walker, and I went and saw Ridley Scott’s new film: Prometheus. The plot of the movie is a prequel to Alien, also by Ridley Scott. I was looking forward to the movie, mainly because of Scotts other film Blade Runner, and how its filmed and executed. 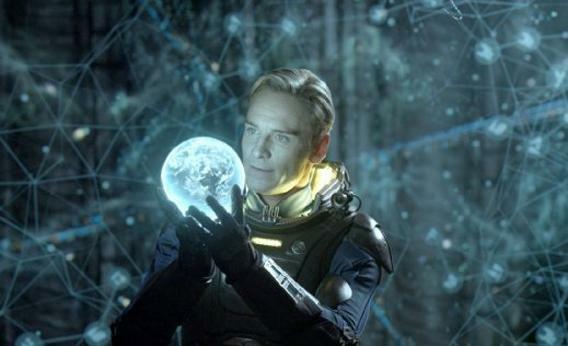 The grungy scenes and shots really set the mood, and Prometheus was the same. I don’t want to give too much away, but the basic plot is a spaceship of 17 humans, and one robot humanoid, are flying through space in hopes of making contact with an alien race that they believe created humans on earth thousands of years ago. The movie then goes on to how their interactions of the crew members, planet life, etc. affects the outcome of the human race. The shots from the movie show off the amazing makeup, prosthetics and special effects! This entry was posted in Uncategorized and tagged film, Lucie Jane by arielsimone. Bookmark the permalink.